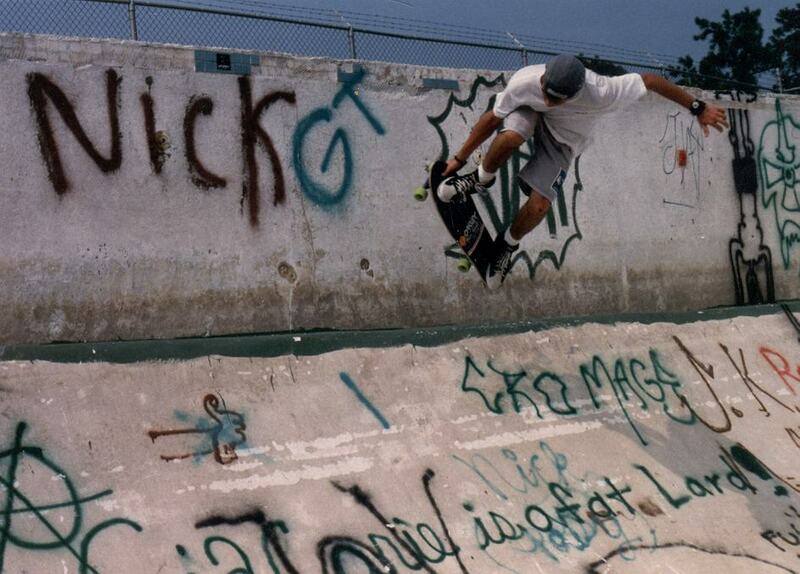 It was summer of 1987 and skateboarding at the Jersey Shore was in full bloom. School had just let out and most of us had gotten our driver’s licenses and cars and the world was now ours. The week after school was out we planned what would go down in skateboard history as the Disco Tour. 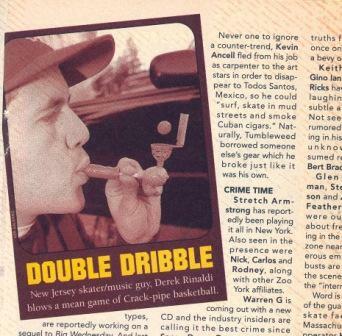 Armed with a truck that only got one station on the radio, 4 skaters and an inflatable Grimace from McDonald’s,…New Jersey to Boston and back. Little did we know when we returned weeks later that, with the exception of a couple contests, that we wouldn’t need to leave home all summer. The street skating sessions that were going down by the beach at night were becoming legendary, the Silverton ramp was attracting skaters from all over and then we discovered the Lake Riviera pool, only a few miles from the ramp. The exact reason why this Olympic size, public pool was drained and the park it was housed in abandoned was unknown to us. But we didn’t care then and you shouldn’t care now. The pool set up was this. A large, squared shallow end: about 5 feet deep. The actual deep end of the pool was bowled out, 8 feet deep with a foot-wide ledge that wrapped around 3 sides of it. An unapproachable 4-foot vert wall brought the pool to the coping. Every day from about 11 am until dark kids would gather in the shallow end waiting there turn to roll in. 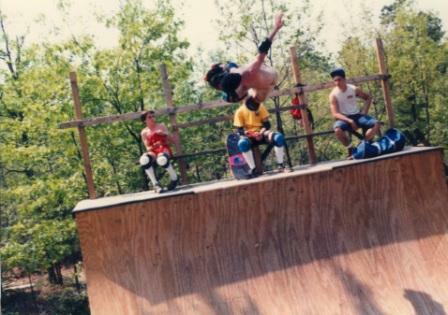 The names were endless, but our daily crew consisted of Jerry Daseking, Billy Quinn, Skip Chapman, Rich Pedicini and Scott Roskos as the lone freestyle biker back then. 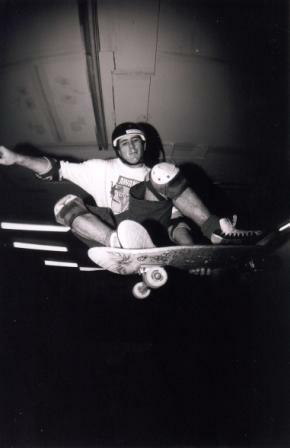 We would skate there before and/or after work, after dinner….everyday. If we had to go away for whatever reason, it was the first place we went when we got home. The regulars were growing and guys that were going to the Silverton ramp were making there way over to the pool. One dream session was documented for Thrasher Magazine. Murph, Brad Constable, Bonnie Blouin, Jef Hartsel had rolled into town with boards, cameras and a mighty pen. 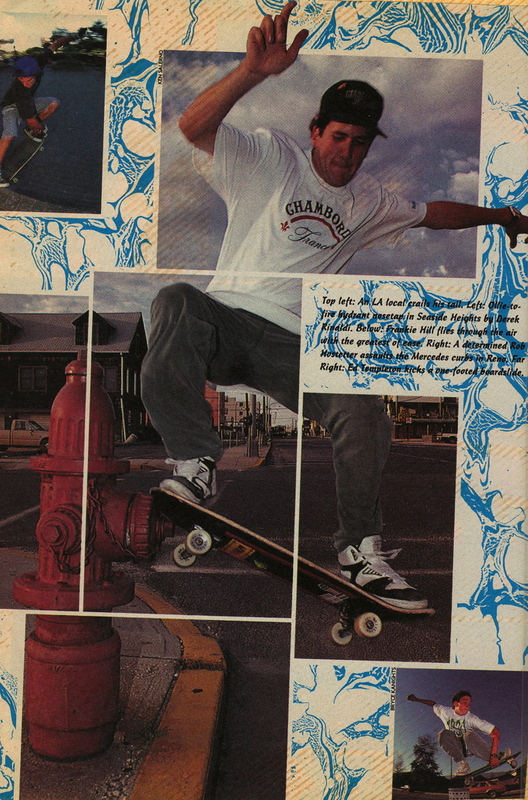 Though the heavies got the press that day, having our local spots seen worldwide in the pages of Thrasher was more than enough for us. 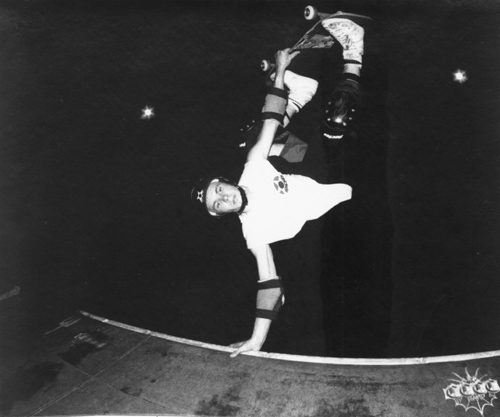 It was the first time we realized that the skate spots of any town could take you around the world. Even if they were buried in the woods in New Jersey. Things were changing fast as the summer flew by. Kids were getting sponsored and the E.S.A. 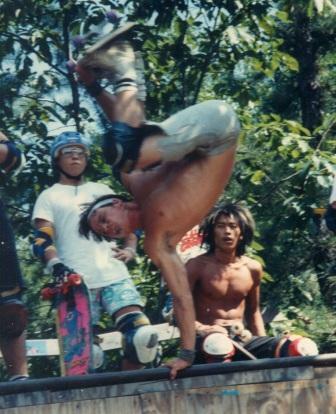 (Eastern Skateboard Association) was hosting contests that we’d all travel to. With all the press and the crowds at the pool, it’s no wonder it was on borrowed time and sure enough one day after returning from a skate trip, I drove to the pool before I even went home to unpack only to find it completely filled in with dirt. I remember staring at it as if it was a bad dream. It’s the first time I felt loss. The pool was never removed and is still there, buried under all that grass and earth. The playground remains. If you sit on the swings long enough, you can hear the sounds of that summer. Grinds, cheers, laughter. Tragic,? 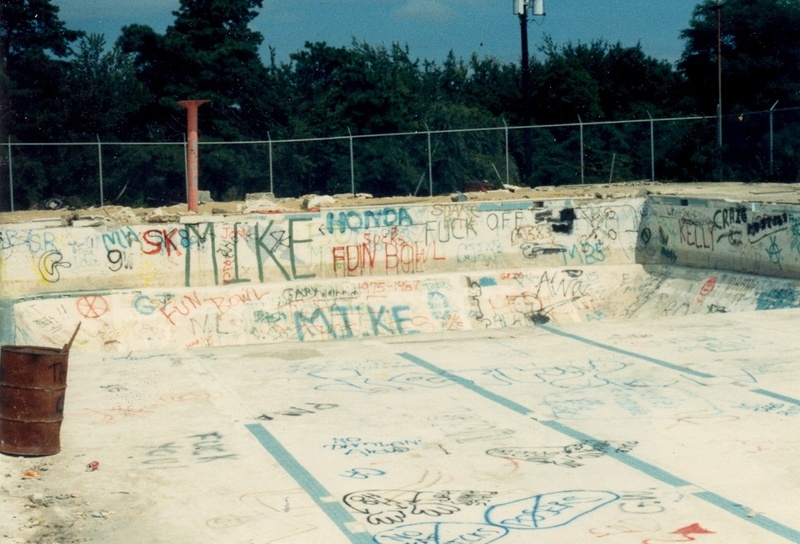 Maybe, but the skating that happened that summer and in that pool set the stage for friendships and skateboard careers that have lasted the test of time. I’ll never forget it. I’ll always hear it. Look for more installments of Turnpike Diaries, life in state soon. This entry was posted in Brad Constable, Derek Rinaldi, Ed Templeton, Frankie Hill, Jef Hartsel, Jim Murphy, Lake Riviera Pool, Photos by Derek Rinaldi, Photos by Jerry Daseking, Silverton and tagged ART, backyard ramps, boards, Derek Rinaldi, east coast, house of steam, jason, Jason oliva, jasonoliva, Lake Riviera Pool, New Jersey, New York City, oliva, paintings, photography, pool Skating, ramp, ride, sk8, sk8t, skate, skate decks, skate history, skate photography, Skate ramps, skate trucks, skate wheels, skateboarding, skateboarding history, skateboarding photography, skateboards, skatepark, skater, SKATERS, steam, Street Skating, TEAM STEAM, The Barn, The House of Steam, thos, vert, vert ramps, Vert Skating on August 31, 2007 by jasonoliva.